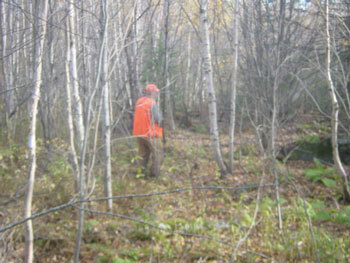 Upland Game: Our area offers some great hunting for wild Ruffed Grouse and Woodcock. 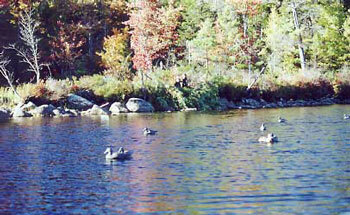 Covers generally are thick which provides great habitat for birds. 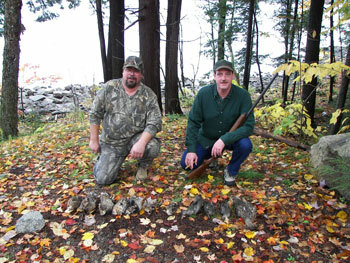 Our hunts are on recently harvested areas as well as areas that were harvested years ago. 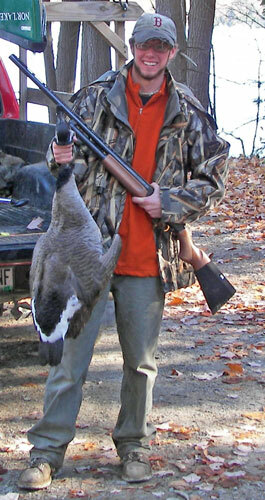 Whether you're hunt is guided or unguided, fall bird hunting in Maine is second to none. 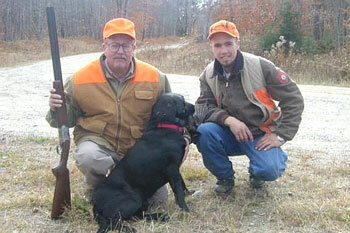 This is a gentlemen's hunt with a gentleman's dog. 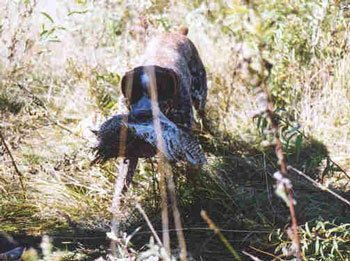 Our dogs are not staked out or kenneled - they enjoy and respect our cabins as well as the hunter. 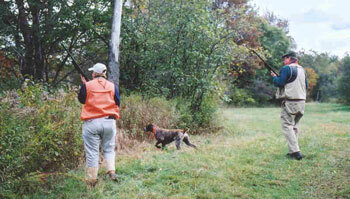 Guided Hunts include: Guide, dog and transportation while hunting. 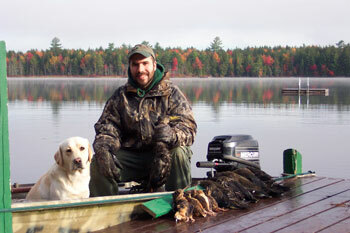 Duck Hunts: Our hunts over decoys are on Folsom and Crooked ponds, and make it quite convenient since you will walk out your cabin door and get into your boat. 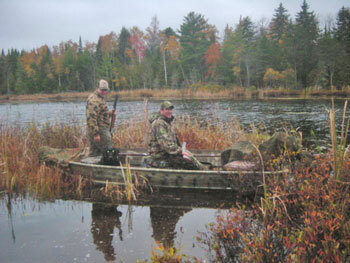 Duck hunts can also coincide with upland bird hunts, making for a great hunt as well as a great time. Please call (207) 794-2181 for pricing.